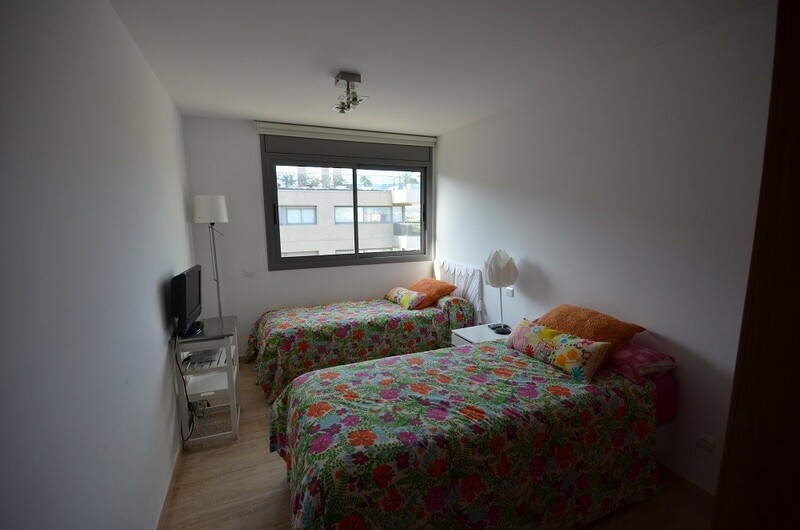 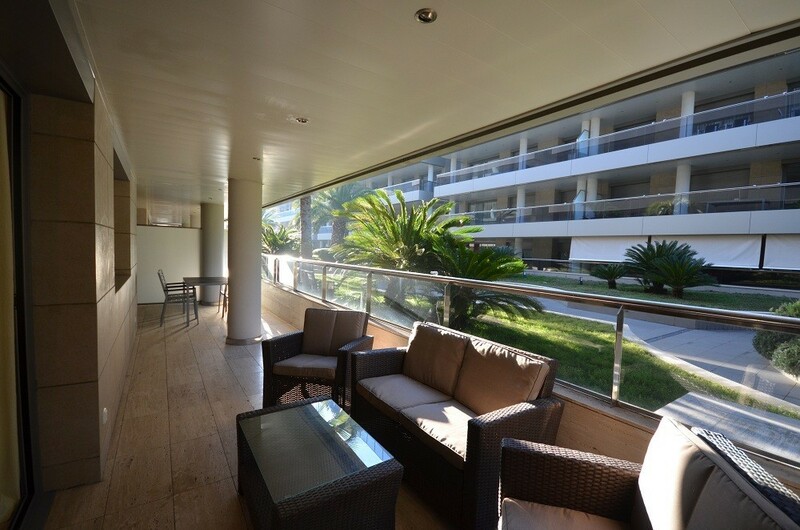 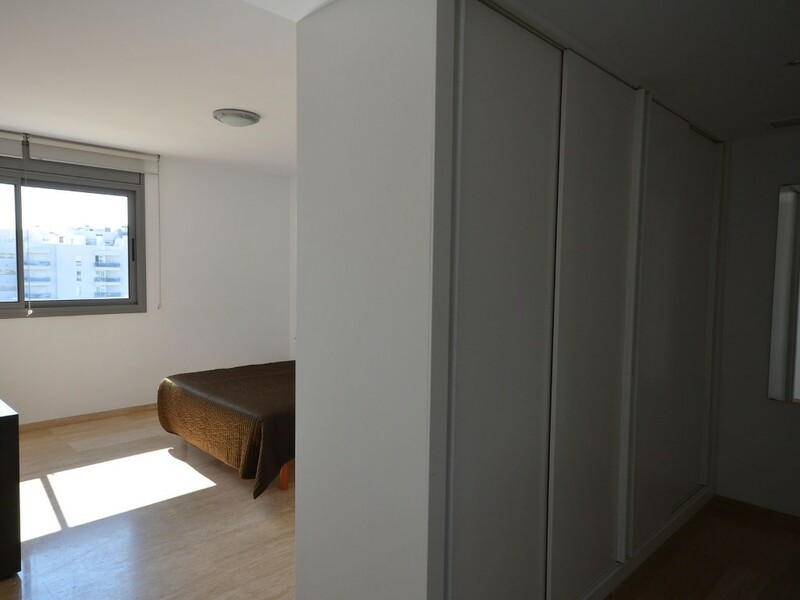 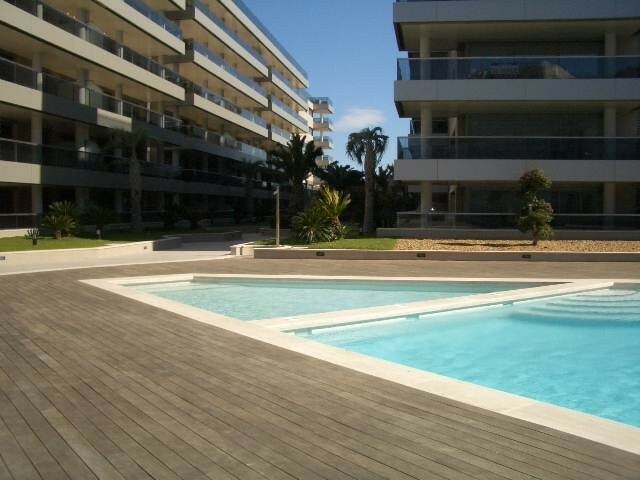 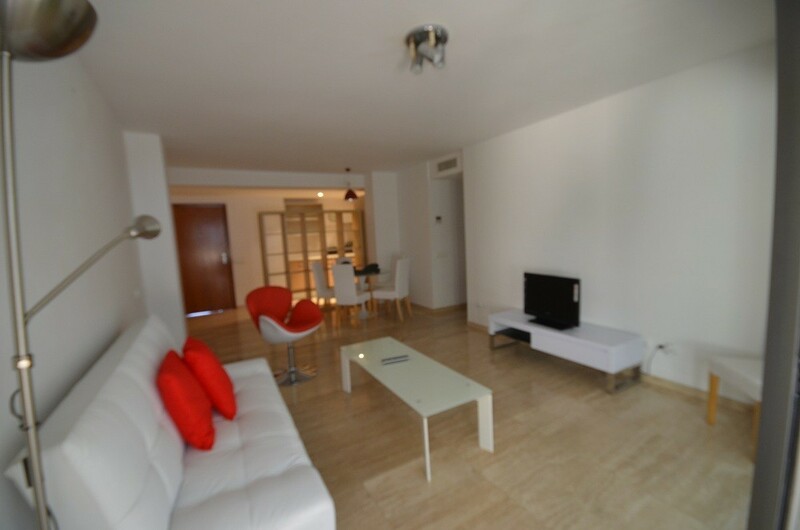 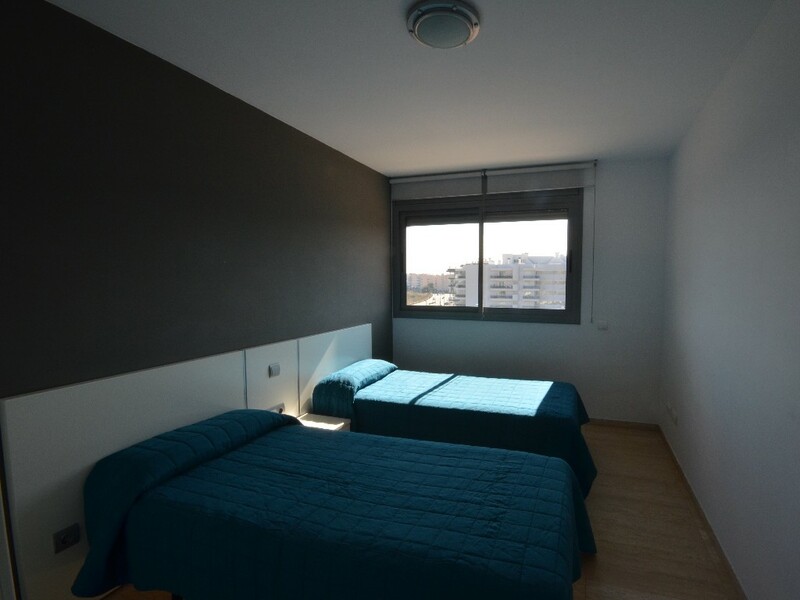 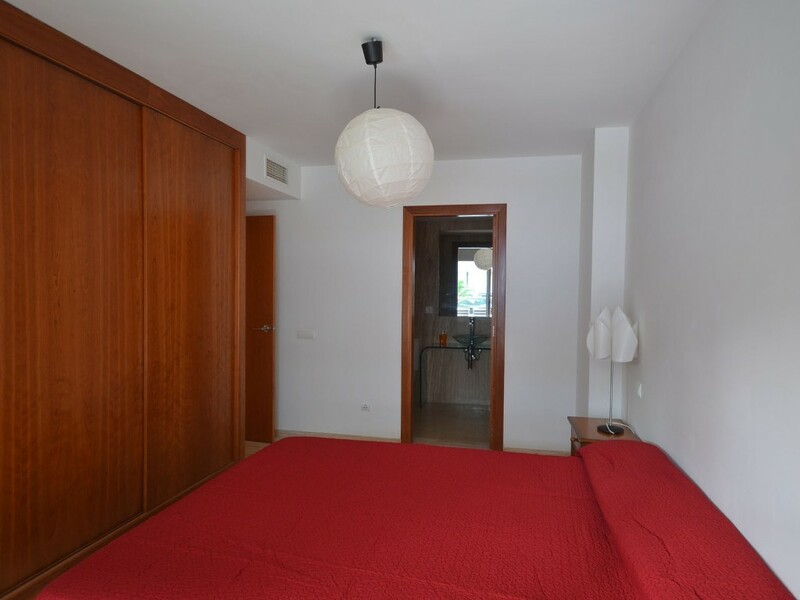 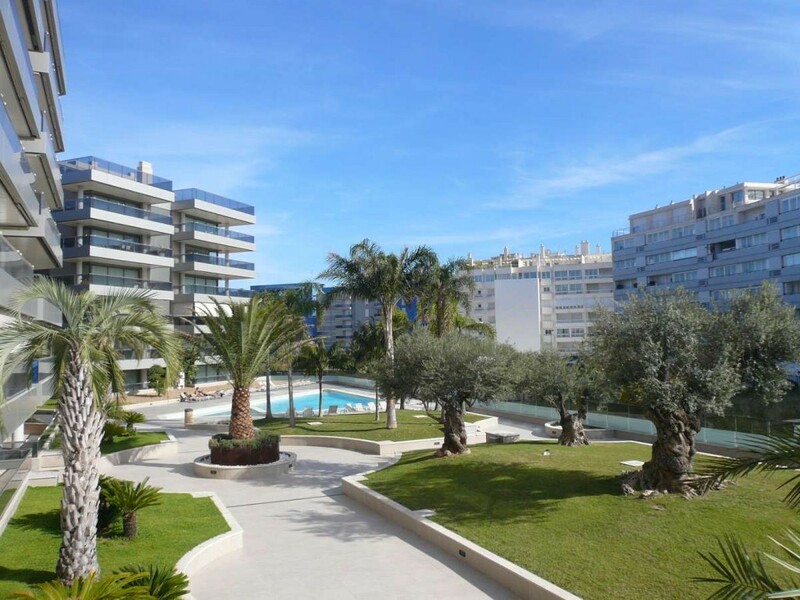 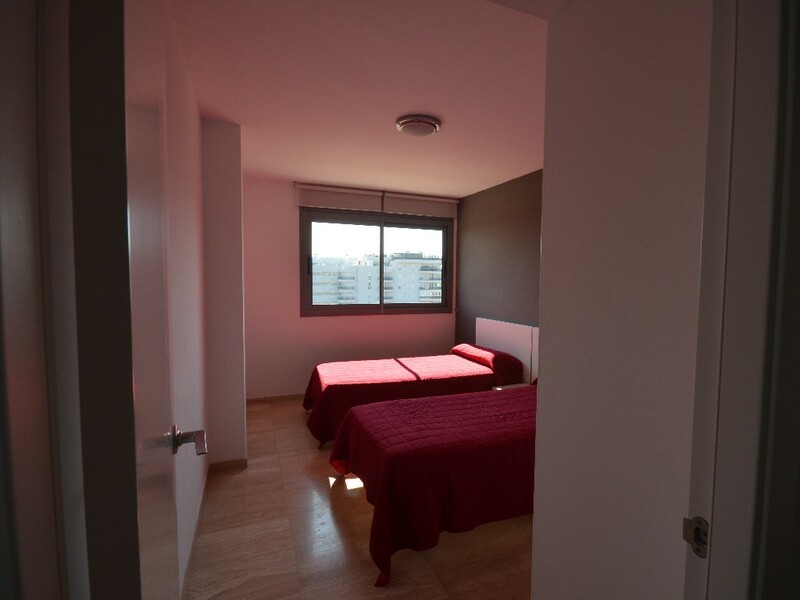 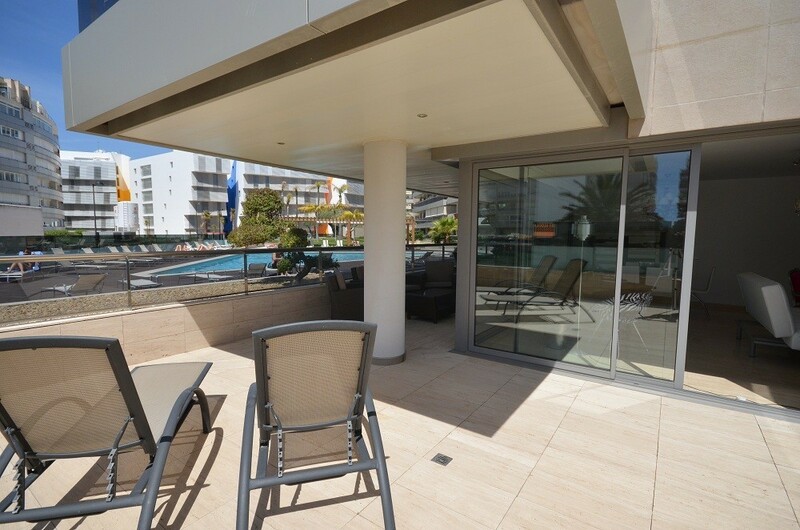 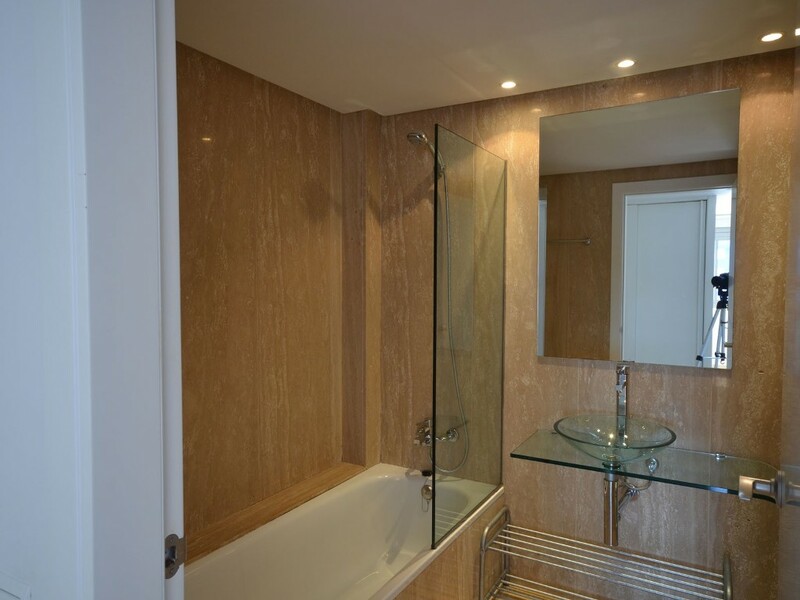 Luxury 4 bedroom apartment (8 people), 2 min walk from the beach,10min to town. 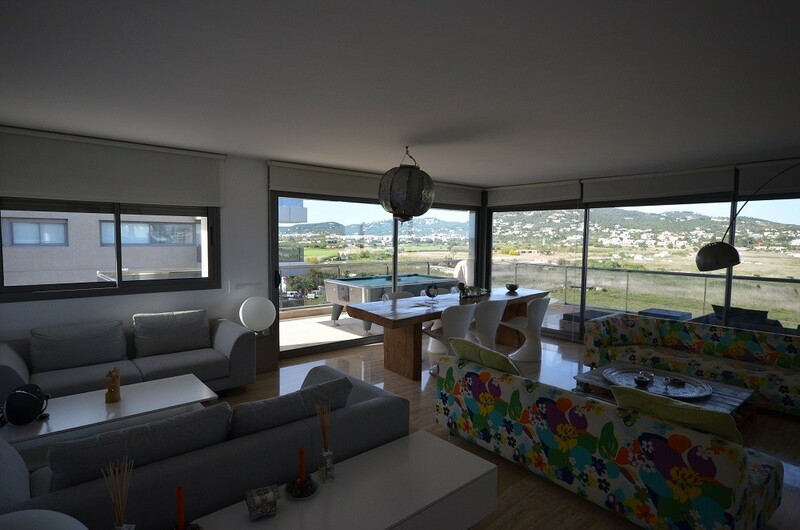 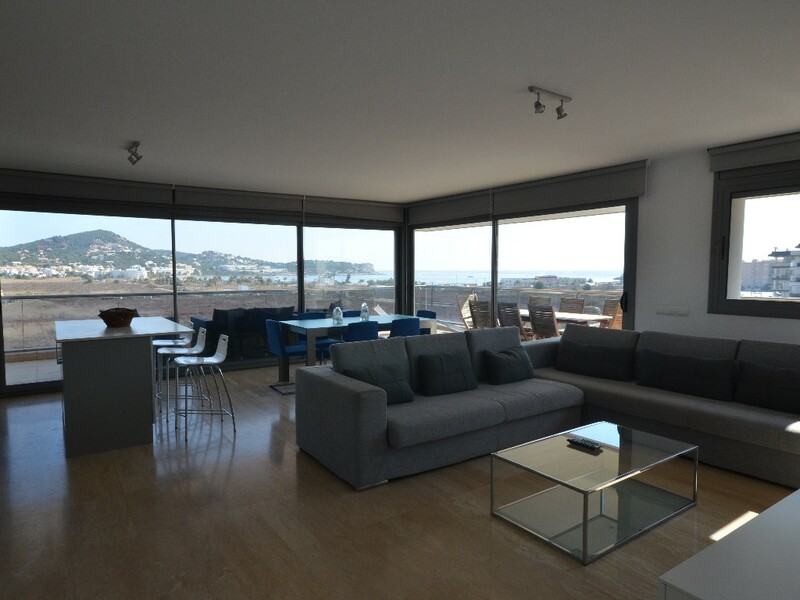 This is a luxury modern new apartment of 180m2 with stunning front views of 180ºfrom the lounge and terrace towards the sea,Talamanca beach and mountains.Situated walking distance to Ibiza Town,to nice beach of Talamanca Pacha El Divino,5 star brand new apartment of 180m2 bright & spacious at the front of a building in Marina Botafoch. 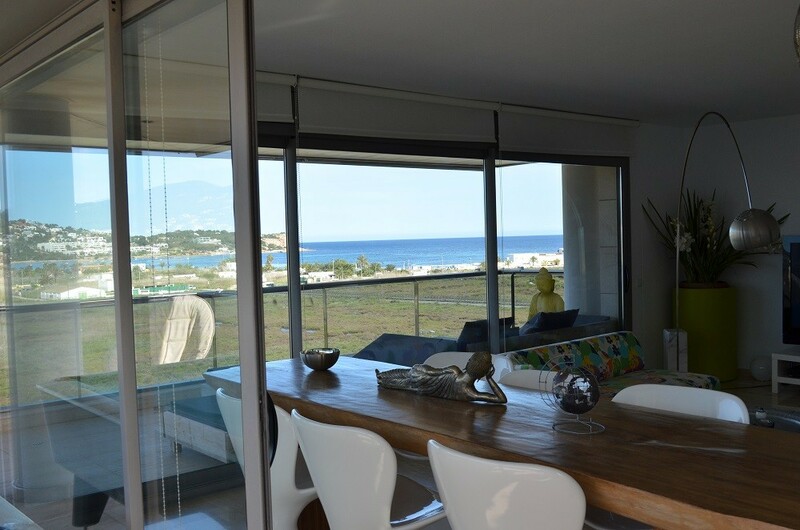 Large 50m2 living/dining room with a big screen plasma tv,leading onto large private 40m2 terrace with outdoor seating and dining area,sofas and stunning views.Kitchen is completely equipped designed in stainless steel.Bedrooms are large large and facing the sea,glass basin bath,bathrooms,High quality travertino marble finishes and air conditioning throughout.Electric windows shutters,parking to front and rear plus private space in the car.Nice gardens and shared pool with wood decking,small pool for children. 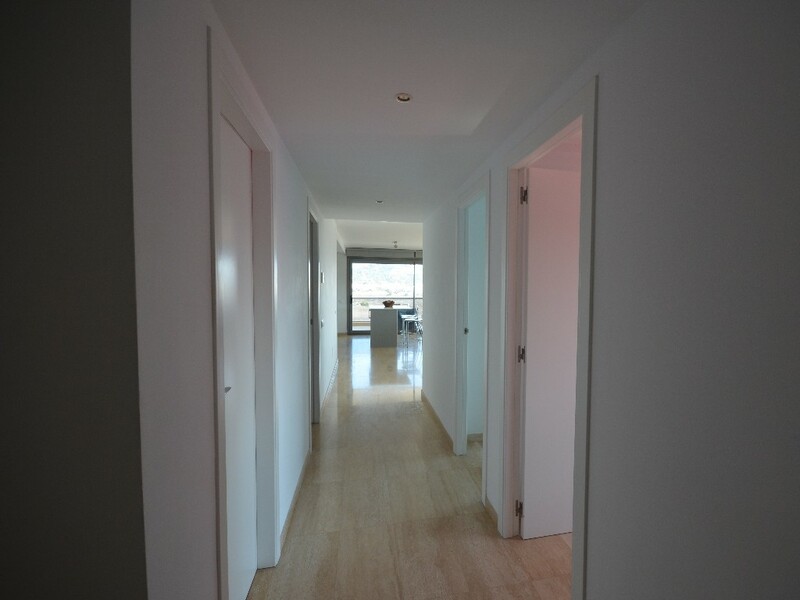 In the same building and staircase tan the 4 bedroom apartment. 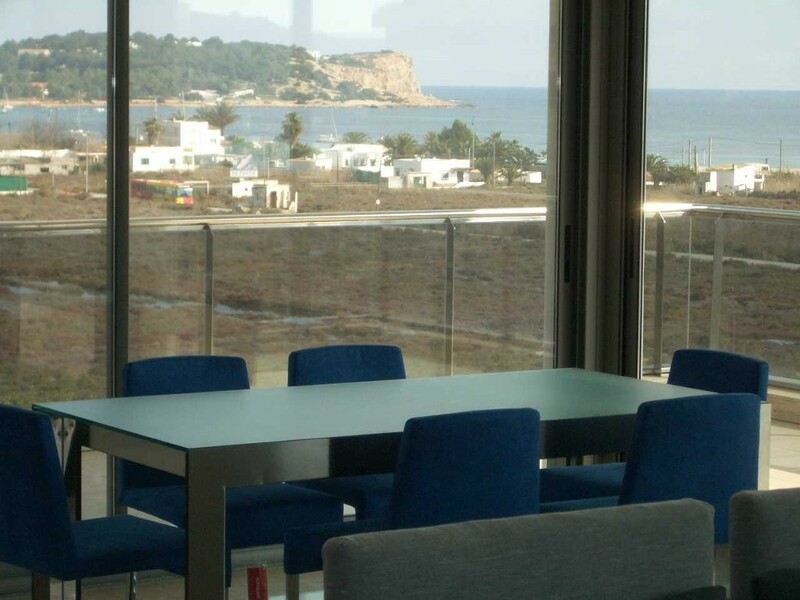 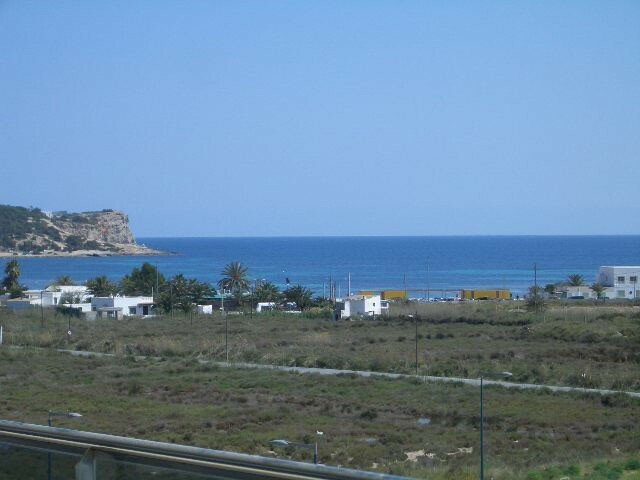 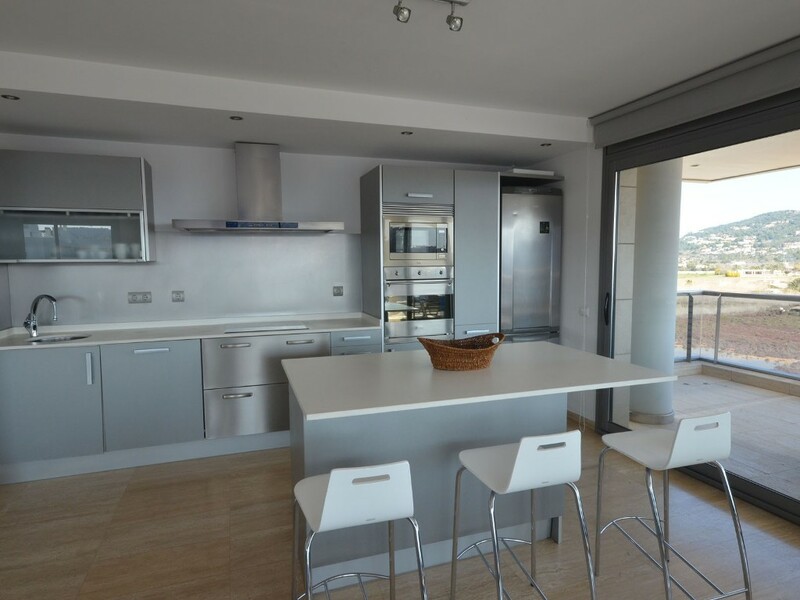 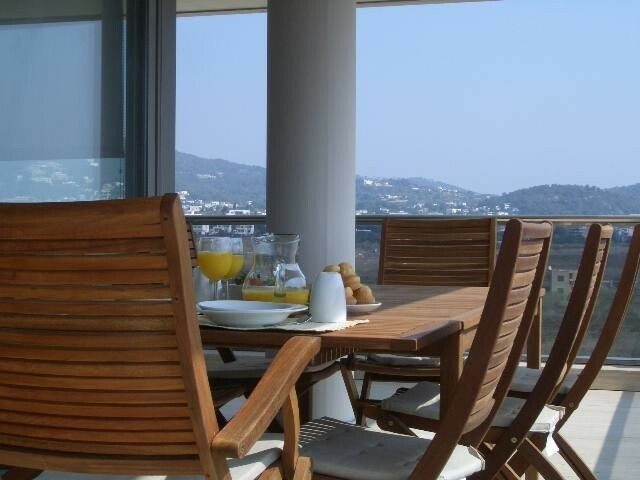 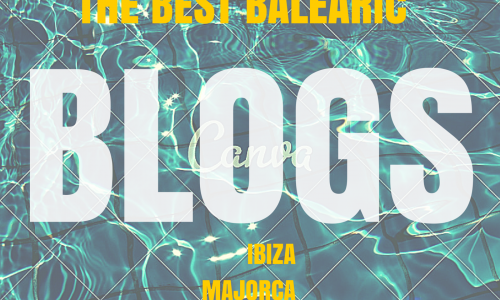 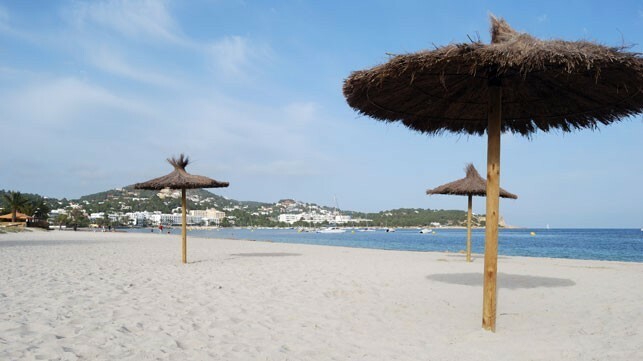 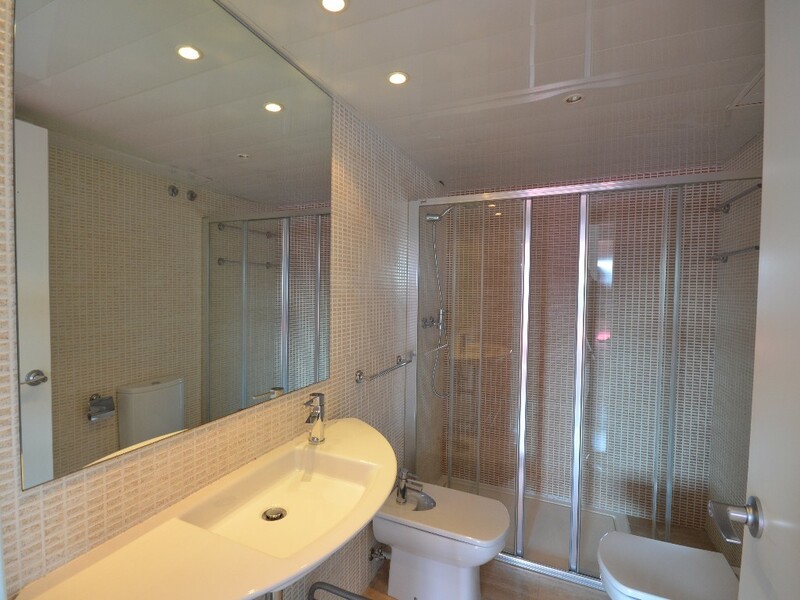 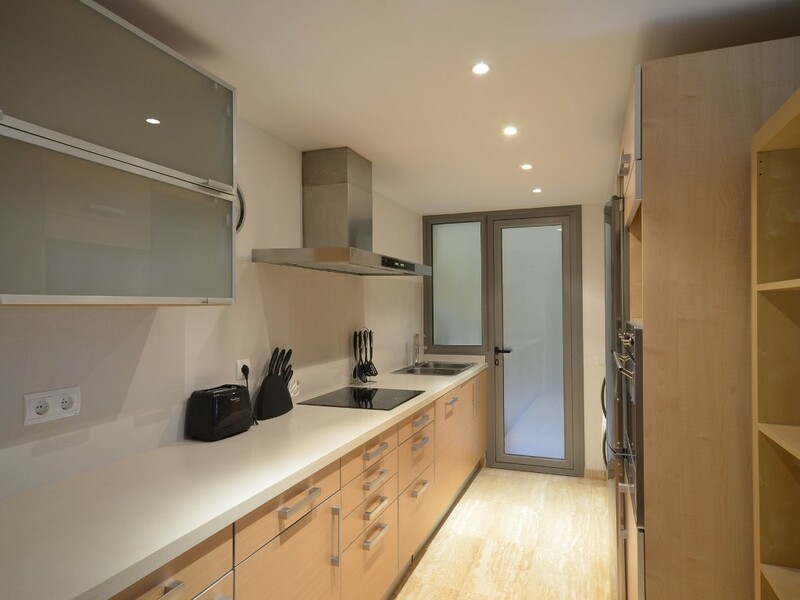 This is a new luxury 4 bedroom apartment of 180m2 situated in Marina Botafoch near Ibiza Town and the beach. 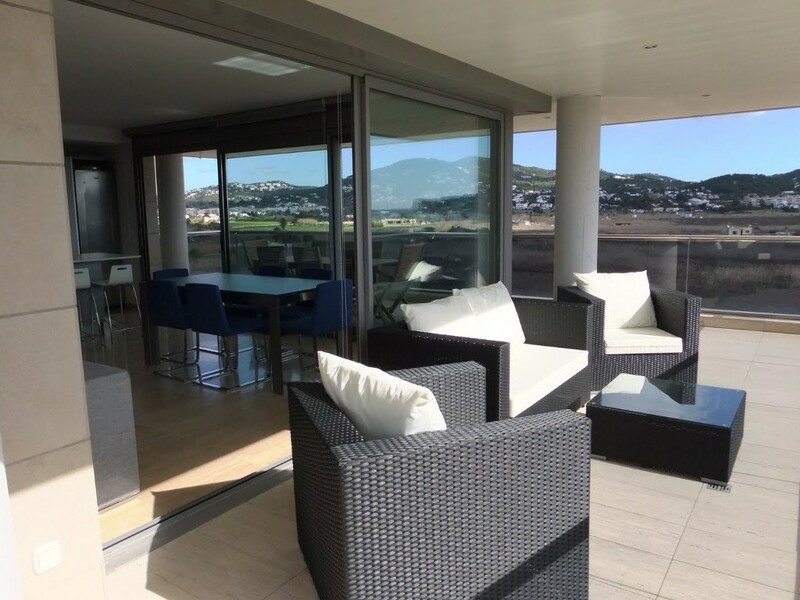 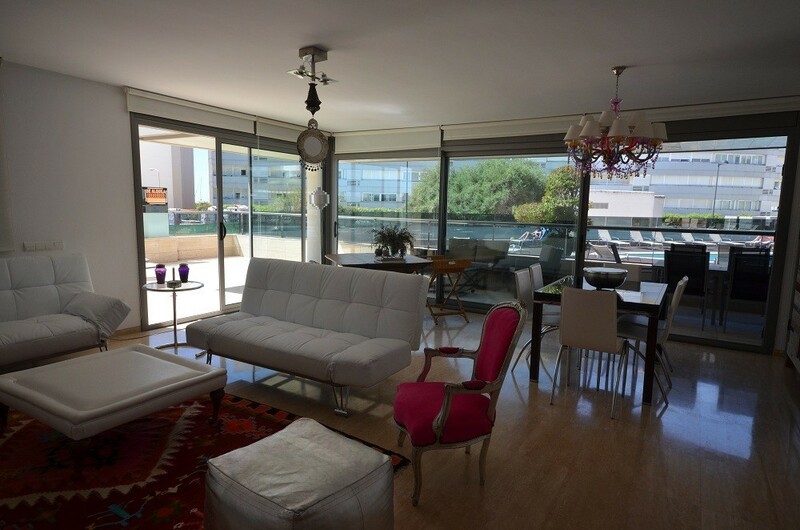 Stunning 50m2 lounge with panoranic sea views,nice furnished 40m2 terrace,kitchen fully equipped,4 double bedrooms,2 bathrooms.